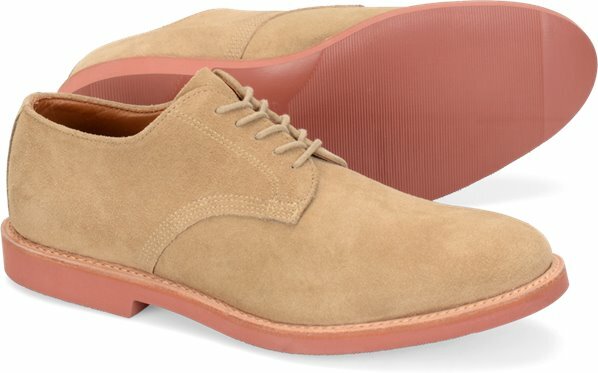 Following the tradition of classic mens footwear comes an updated derby that has been tried-and-tested since the 1850s. The Belmont in Daybreak satisfies a classic-yet-casual wardrobe for daily-dealings, business meetings, or simply lunch. This all-around timeless style is designed to take an everyday look up a notch. "I'm on my feet 10 hours a day and am always looking for good quality shoes that hold up. I also like to support American manufacturing whenever possible. On a whim I gave your saddle shoe a try, in blue, and am very impressed with the build quality. They look good, too."